Catskill, NY (April 2, 2019) – State police have now released the identities of the two drivers involved in a fatal crash that occurred between two tractor-trailers Sunday morning, March 31st. 51-year-old Irinel Mladin-Kennedy, of Schenectady, was tragically killed and 63-year-old Michael E. Wolf, of Red Lion, PA, was injured when their tractor-trailers collided at 5:38 a.m. along Interstate 87 northbound. According to an investigation into the incident, the truck operated by Mladin-Kennedy, which had been hauling U.S. mail, veered off the roadway for unknown reasons and ultimately struck the other truck, operated by Wolf, which had been pulled over at the time. The impact of the collision sent both tractor-trailers northbound along the shoulder of the interstate and caused both vehicles to burst into flames. Emergency medical crews and firefighters accompanied police at the scene, where Mladin-Kennedy was pronounced dead. Wolf was promptly taken to Albany Medical Center with injuries that have been classified as non-life-threatening at this time. No further information has been provided concerning the cause of this incident as the investigation is ongoing. Our deepest condolences are wholeheartedly extended to the loved ones of Irinel Mladin-Kennedy during this devastating time. We would also like to extend our sympathies to Michael E. Wolf, as we hope for his full recovery at this time. 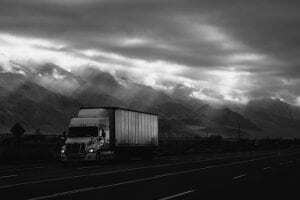 Truck accidents in New York are frequently fatal or catastrophically injurious, particularly when more than one large truck is involved. While it can be extremely difficult, it is important for victims and the bereaved family to know that they may have substantial rights at this time. At Hach & Rose, we understand that there is nothing as overwhelming as the sudden loss of a family member, and as members of the community, our accident attorneys are here for you 24/7 to answer any questions you may have. If you have lost a loved one in a New York truck accident due to circumstances beyond the victims’ control, please do not hesitate to call 212-779-0057 today.